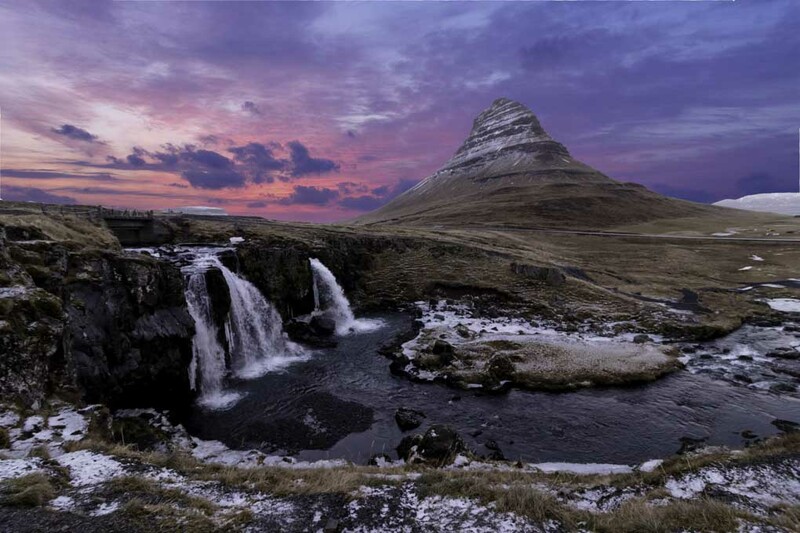 Be enchanted by the Snaefellsnes Peninsula that was picked as the best winter destination in Europe. 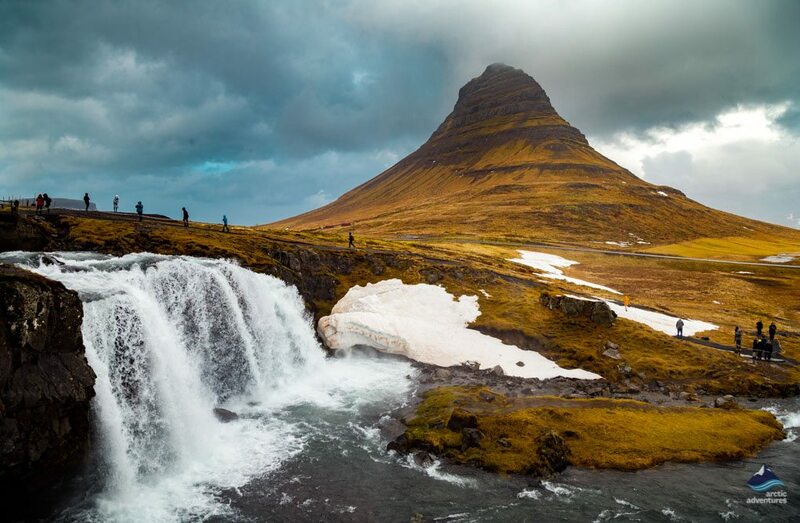 On this unforgettable two-day tour you’ll soak up the spectacular views of Snæfellsjökull glacier, walk on the black pebble beach of Djúpalónssandur, witness Europe’s most powerful hot spring and get in touch with diverse Icelandic nature. 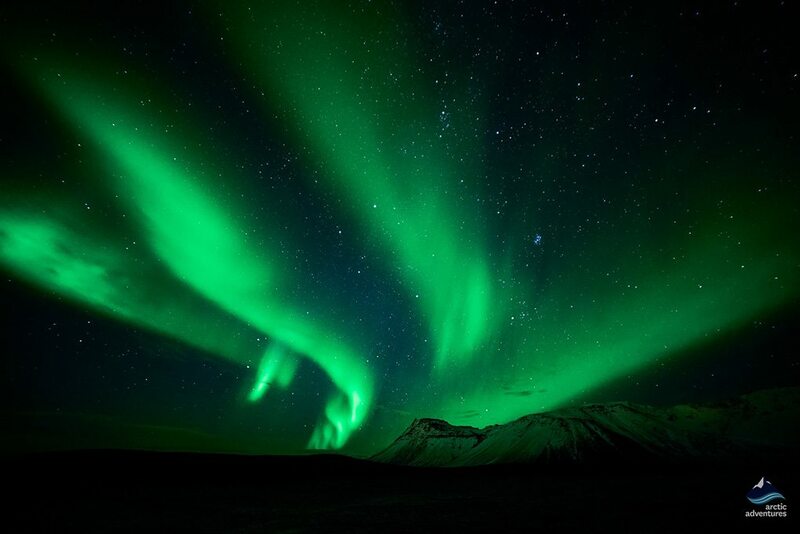 To make things more exciting, be prepared to knock the Northern Lights off your bucket list! 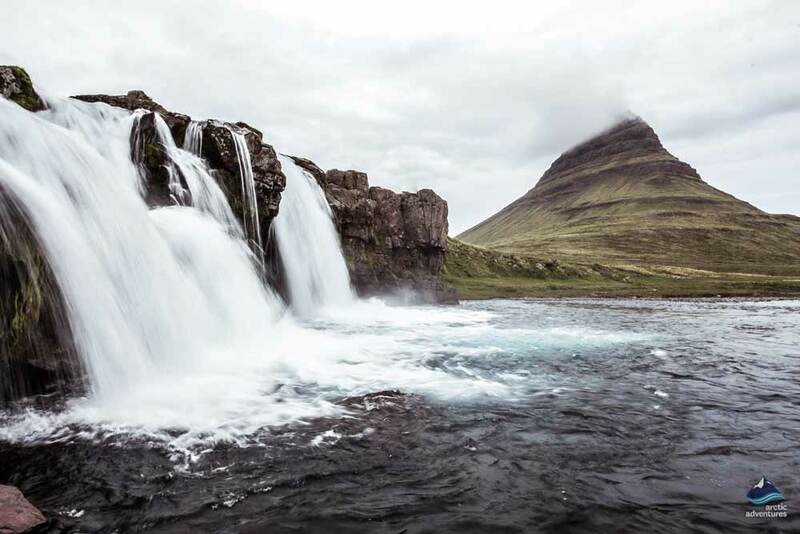 This compact two-day tour begins with a journey to the Snæfellsnes Peninsula, situated along Iceland’s west coast. Snæfellsnes is one of the best-kept secrets of Iceland, with diverse scenery topped by Snæfellsjökull Glacier as its crowning landmark. This ancient glacier volcano has sparked human imagination for centuries, most famously with Jules Verne commemorating it in his novel Journey to the Centre of the Earth. Our optional (extra fee) guided tour will offer a chance to step into the 8,000-years-old Vatnshellir Cave and feel closer to the core of the Earth! 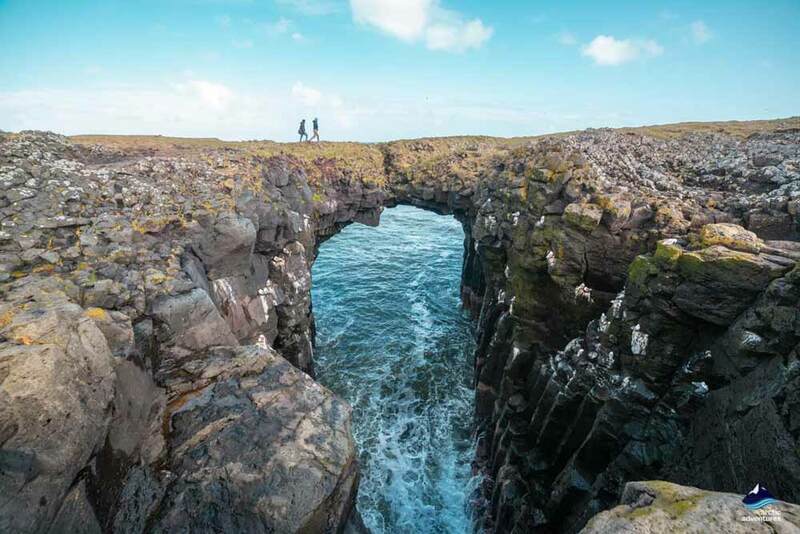 On Snæfellsnes exploration, you’ll have ample moments to admire towering peaks and cliffs, ghostly lava fields, black sand beaches, and traditional fishing villages. 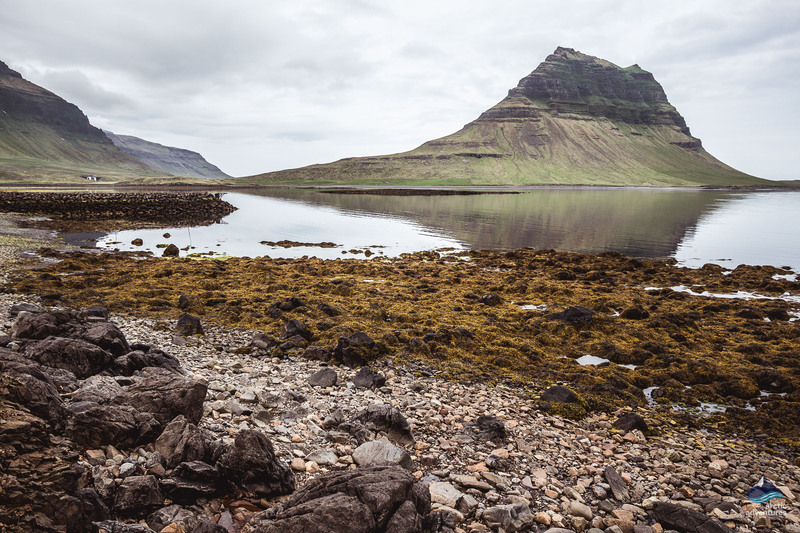 We’ll stop to snap great pictures of the famous Mount Kirkjufell and Djúpalónssandur, a black pebble beach dotted with fascinating rock formations. 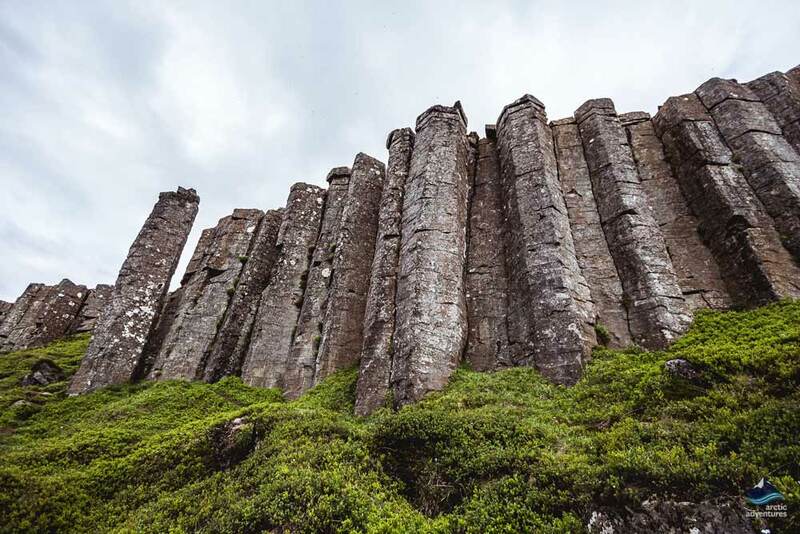 To cap off the adventure, we’ll visit the impressive Gerðuberg basalt columns, forming geometrical patterns in the cliffs. 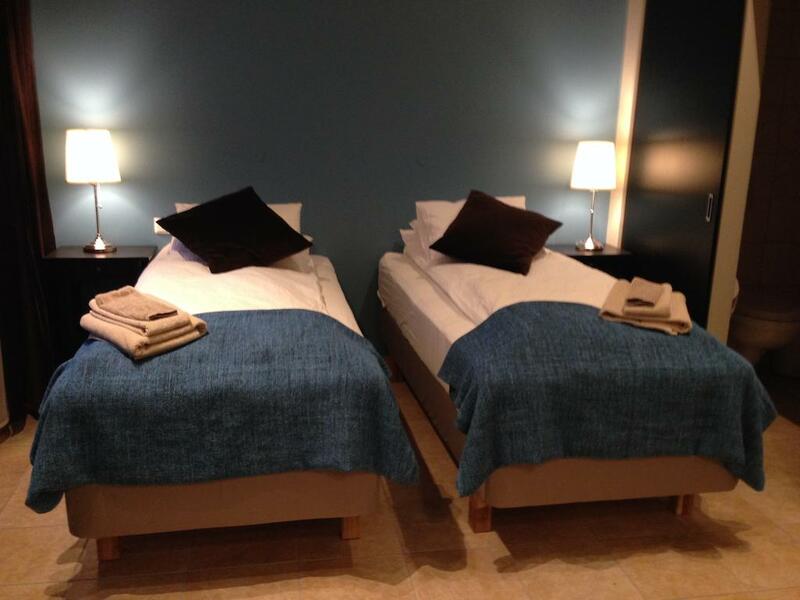 Your accommodation will be at a country hotel in the Snæfellsnes area. 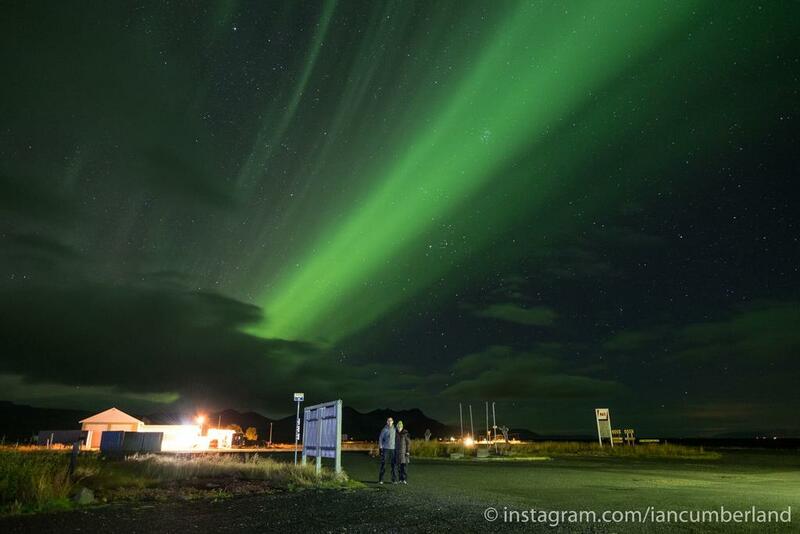 Away from the city lights, you’ll have the best chance to spot the Northern Lights. 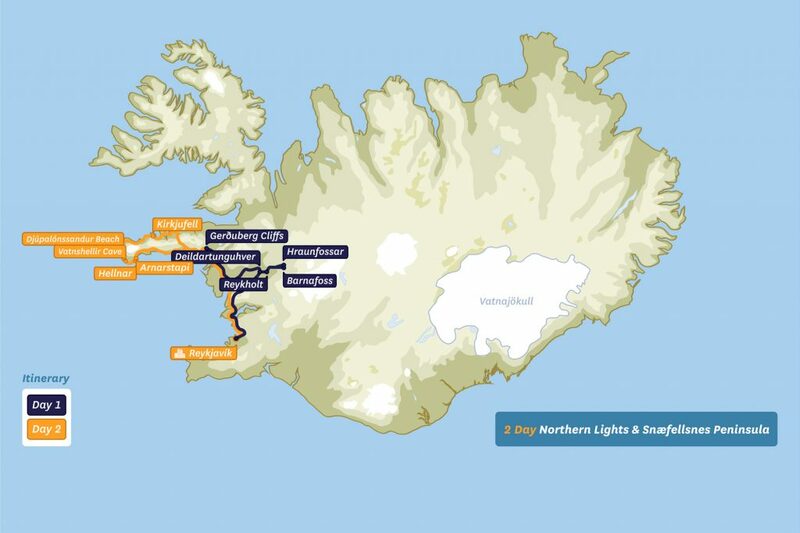 On the second day, we’ll leave Snæfellsnes behind and head to Borgarfjörður area, known for its pristine natural beauty. 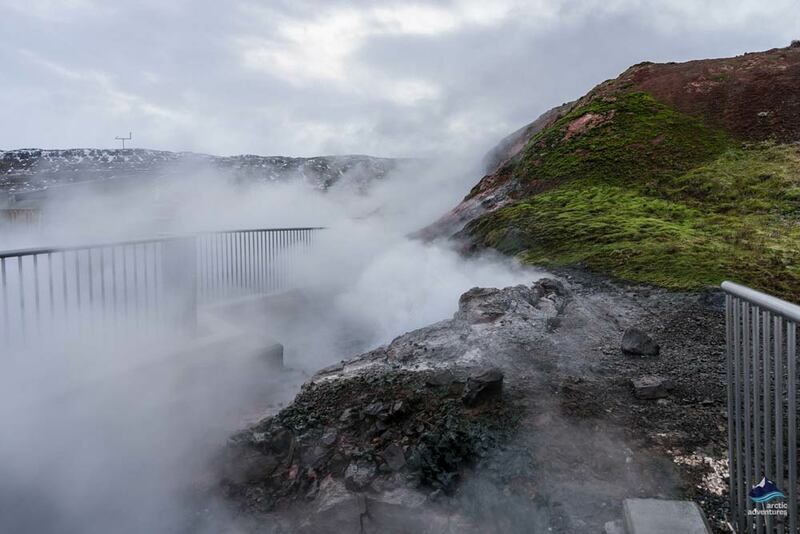 First, we’ll stop at the highest-flowing hot spring in Europe, Deildatunguhver, and you’ll have an opportunity (with an extra fee) to soak in the geothermal baths at Krauma. 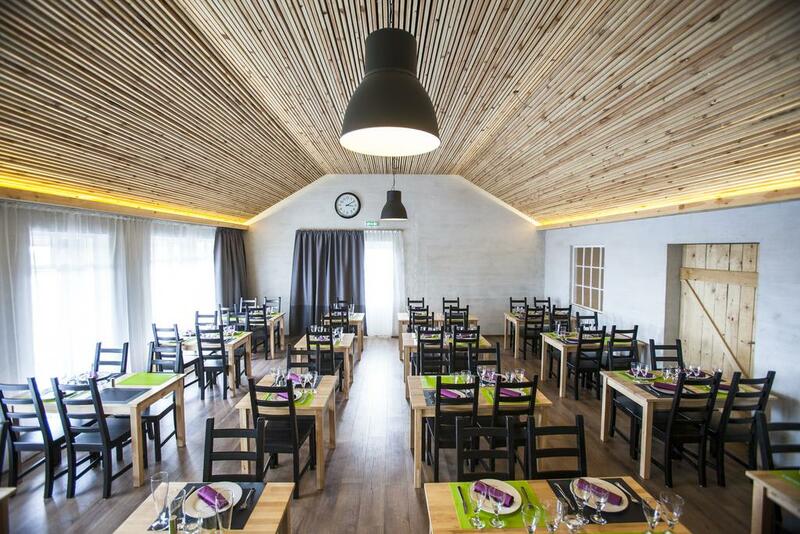 Next up is Reykholt, a village that was once home to Iceland’s best-known historian and saga writer, Snorri Sturluson. 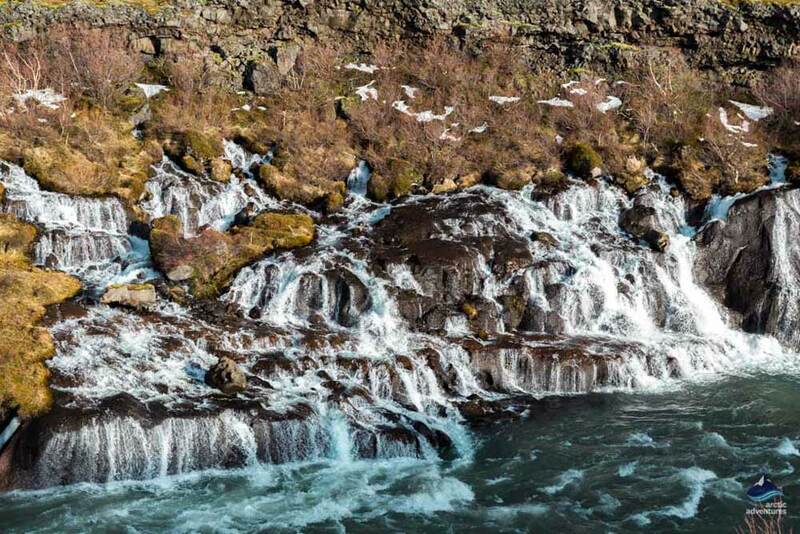 After visiting the village of historical significance, we’ll head to the popular waterfalls of Hraunfossar and Barnafoss. 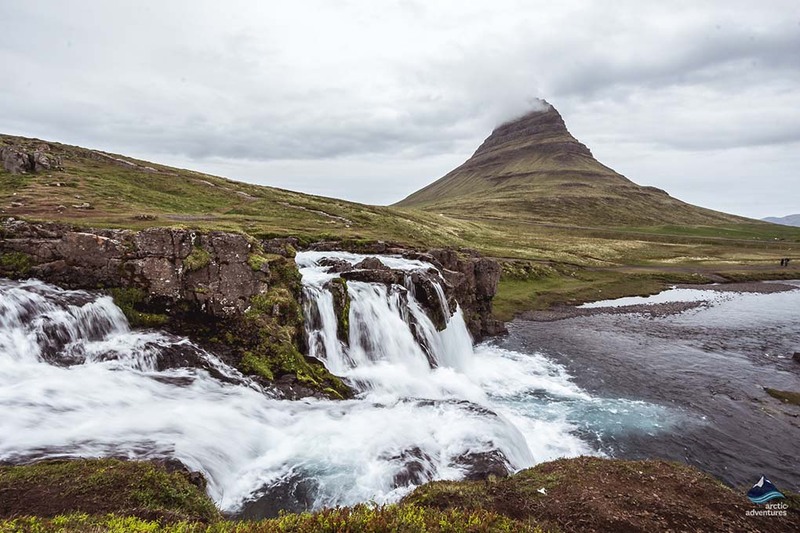 The first is a set of thousands of rivulets streaming out of a lava field, whereas the latter is more powerful, with a lamentable legend behind it. 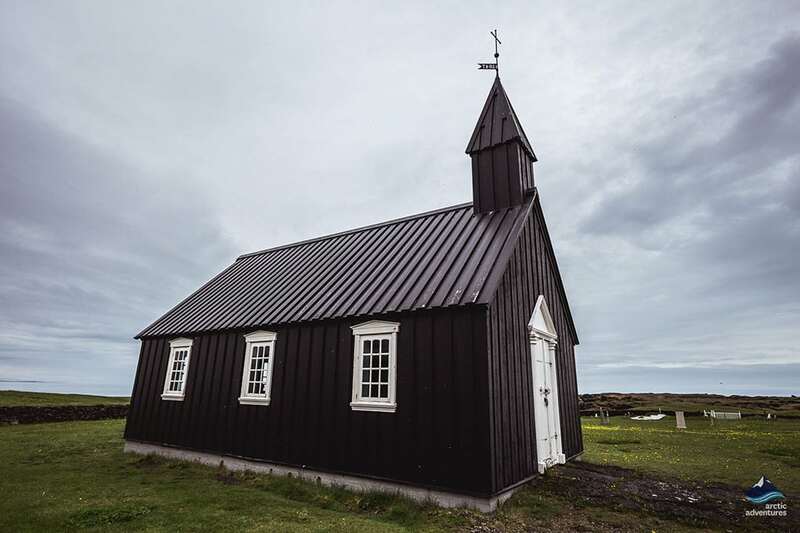 Many landmarks in Iceland can be both beautiful and haunting, so prepare yourself for the fables and folktales! After two days filled with sensational and extremely varied sights and experiences, we return to Reykjavík in the evening around 18:00 (6 PM). What to bring: Warm layers and waterproof outdoor clothing, headwear, gloves. Good hiking shoes are recommended. 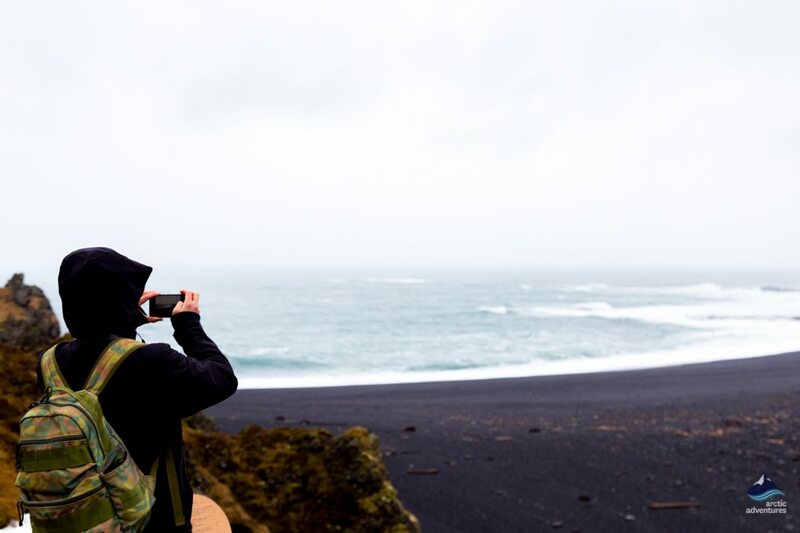 Don’t worry, you can always rent sturdy hiking shoes, waterproof jacket and pants when you book your tour. 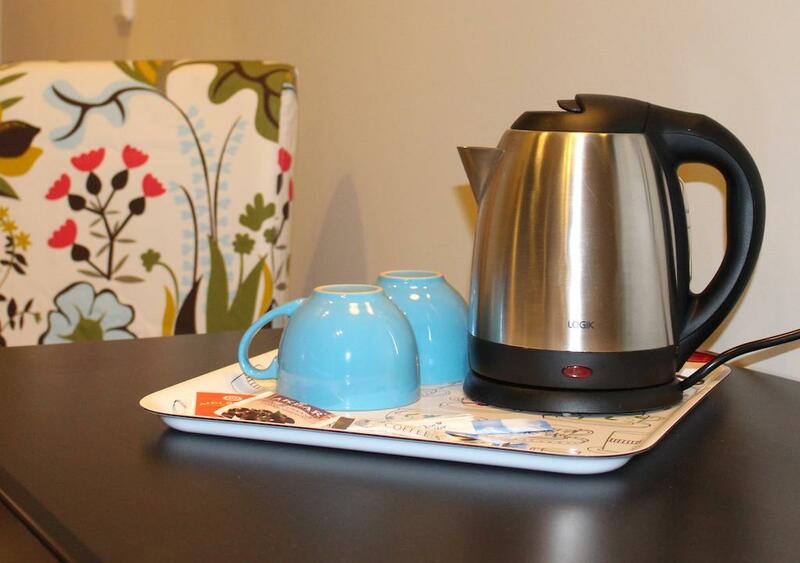 Please note, we do not rent gear from locations, it must be booked in advance. Single supplement is required for solo travelers. 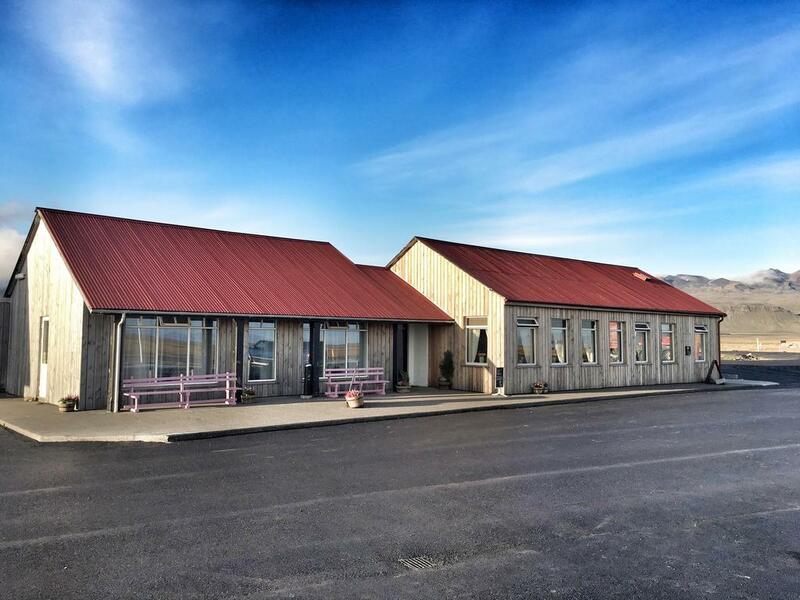 Your adventure into West Iceland starts with a pick-up from your chosen pick-up point in Reykjavik at 9:00 a.m. As picking everyone up might take up to 30 minutes, your patience is much appreciated. 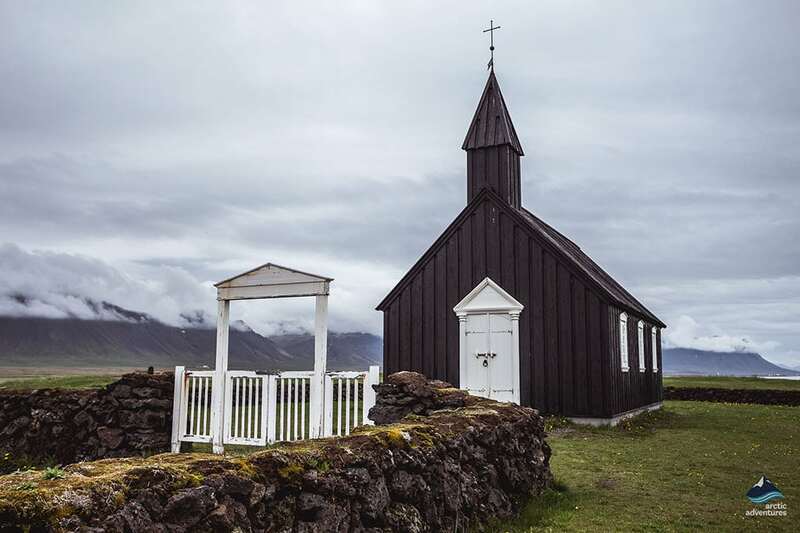 Once everyone is on our minibus, we’ll head to one of Iceland’s greatest hidden gems, Snæfellsnes Peninsula. 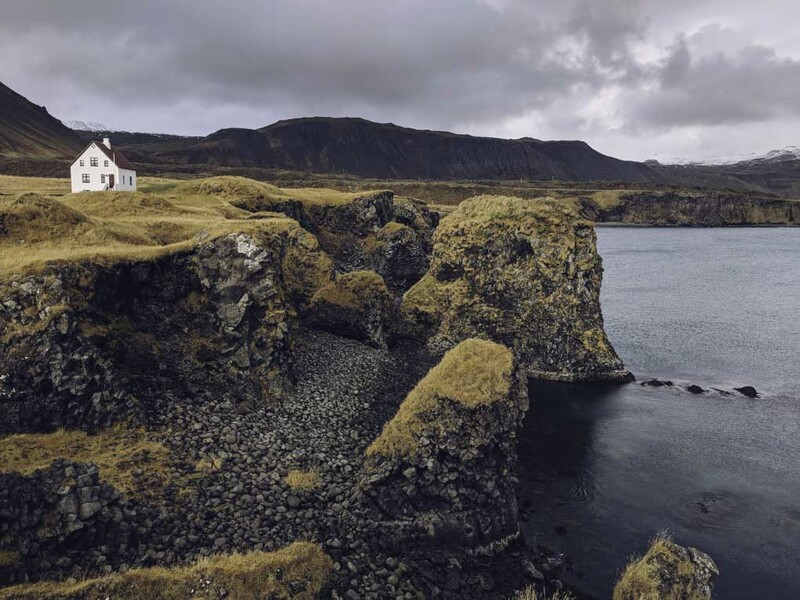 Our first stop is at the small fishing village of Arnarstapi, which is surrounded by dramatic cliffs and lava fields. 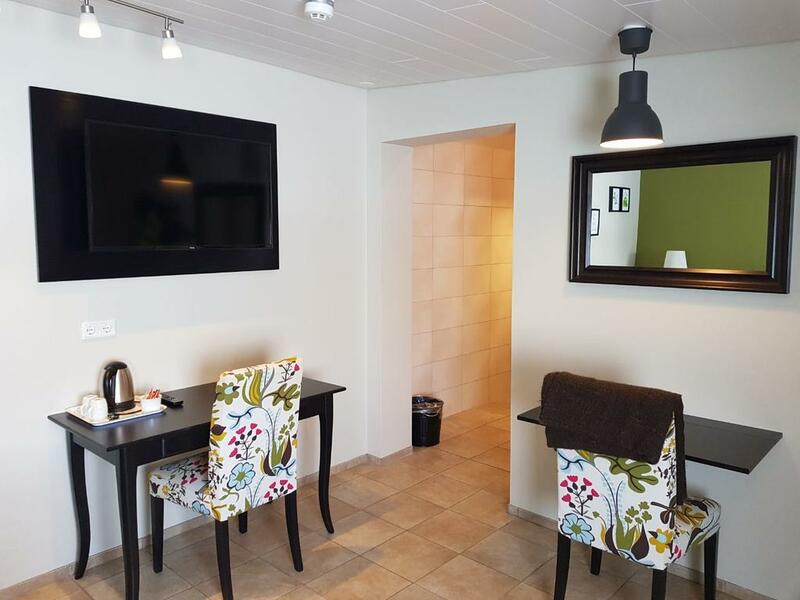 After wandering in the surrounding area, we’ll head to the Snaefellsjokull National Park, where you’ll have an option (at extra cost) to step into Vatnshellir Cave. The cave is a 8,000-years-old lava tube tunnel that burrows 35 meters (115 feet) underground. This experience is as close as you’ll get to the Jules Verne novel, A Journey to the Center of Earth. If you’re not joining the caving part, your guide will walk you through some of the most intriguing landscapes in the area. 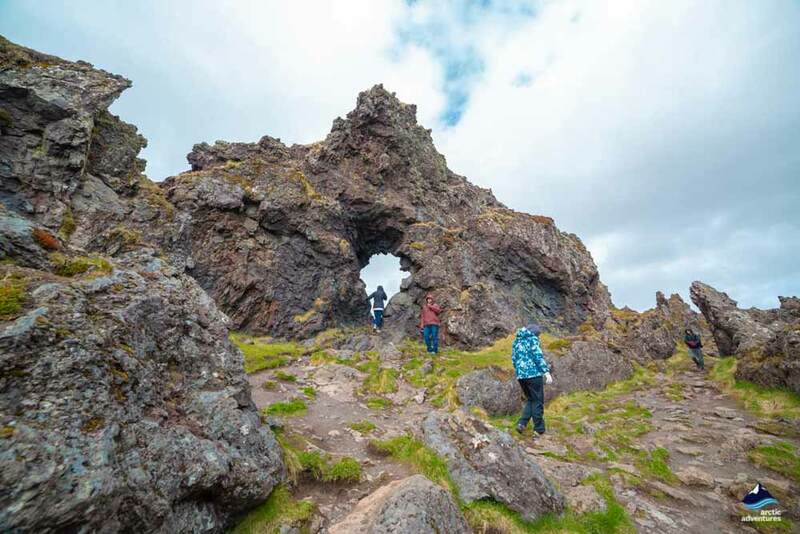 Next, we’ll stop at Hellnar—an ancient fishing village—to grab some lunch before continuing with our journey to the picturesque Djúpalónssandur Beach. 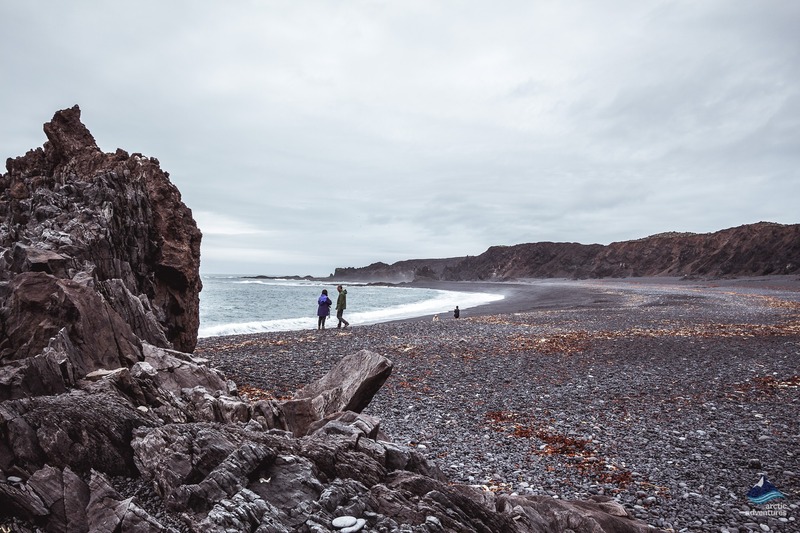 Djúpalónssandur is full of black pebbles, also known as Djúpalóns Perlan, meaning “Deep Pool Pearls.” On the beach, we’ll have a short hike and explore the spooky remains of a shipwreck, that dates back to 1948. Here you may also find four lifting stones to test your strength like the fishermen used to do in the old days. Just make sure to stand well back from the ocean, the waves here are powerful and sneaky as well as awesome! After indulging in all of Djúpalónssandur’s delights, we’ll head to Iceland’s most photographed peak, Mt. Kirkjufell. The cone-shaped mountain with the series of waterfalls in the background has been ranked as one of the seventeen majestic mountains in the world by Mashable. 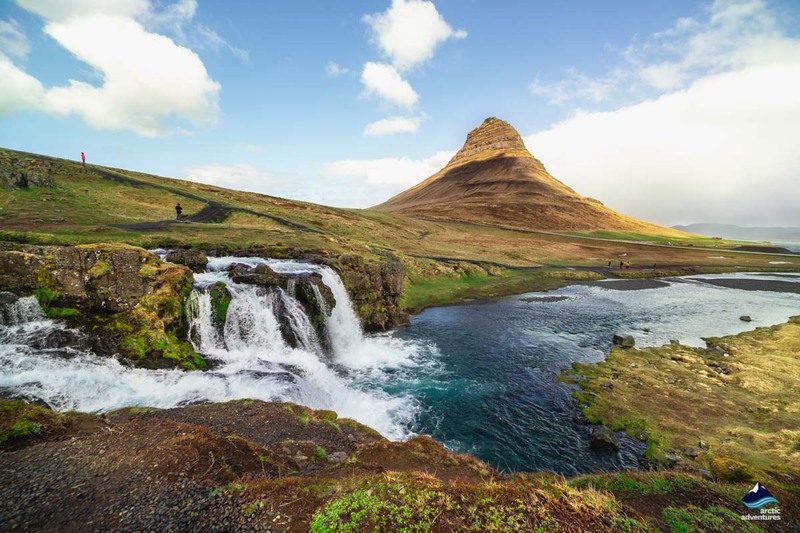 No wonder why his majesty Kirkjufell was featured in the epic fantasy series Game of Thrones! 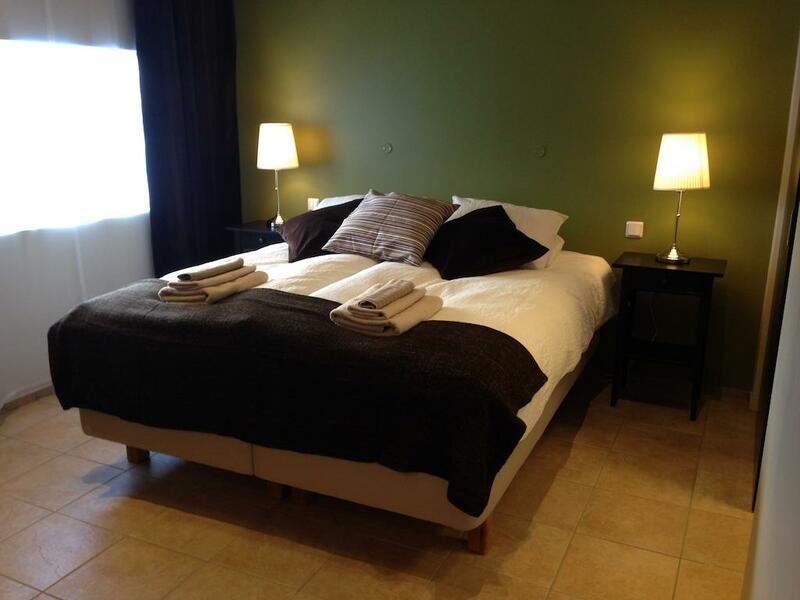 Afterward, we’ll make our way to a country hotel in Snæfellsnes. If the forecast is promising, your guide will show you the best place to admire the magical Northern Lights. The lights occur when charged particles from the sun hit Earth’s magnetic field and start to collide with atoms and molecules in our atmosphere. 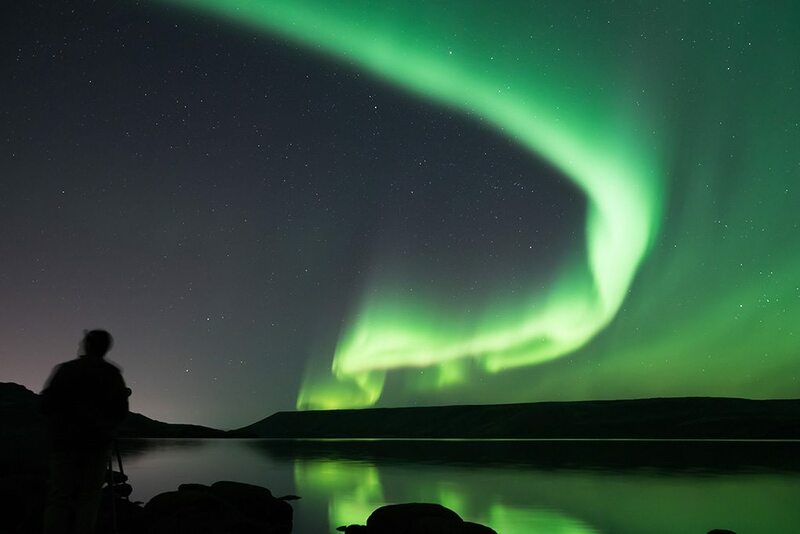 Since the Aurora Borealis is a natural phenomenon, a bit of luck is also needed, but let’s hope those colorful swirls of light will paint the dark sky! 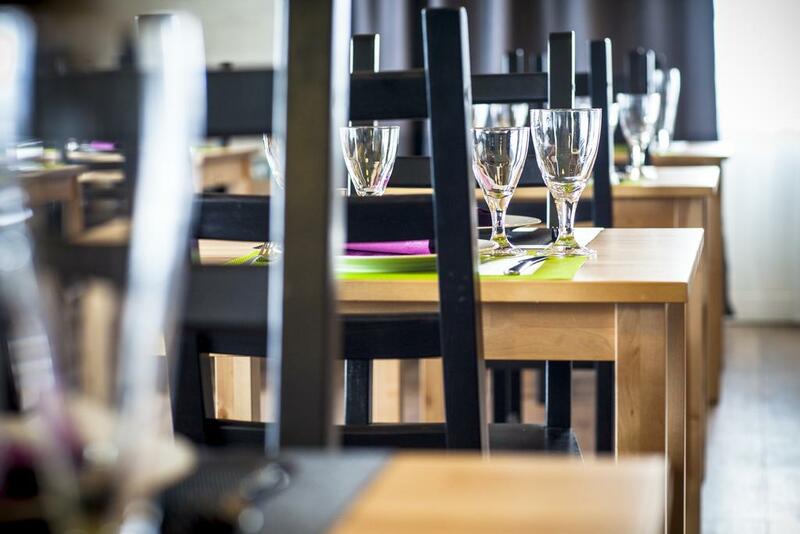 After breakfast, we’ll set forth to the gorgeous landscapes of Borgarfjörður area, located in West Iceland. Our first stop is at Deildartunguhver, the most powerful hot spring in Europe. 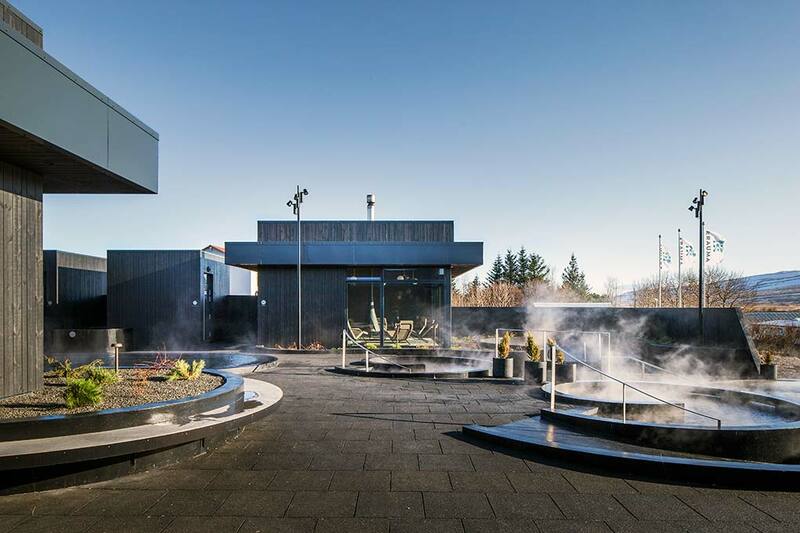 Deildartunguhver provides 180 l/sec (48 gals) of 100°C (212°F) hot water, which is also used for central heating in neighboring towns like Borgarnes and Akranes. 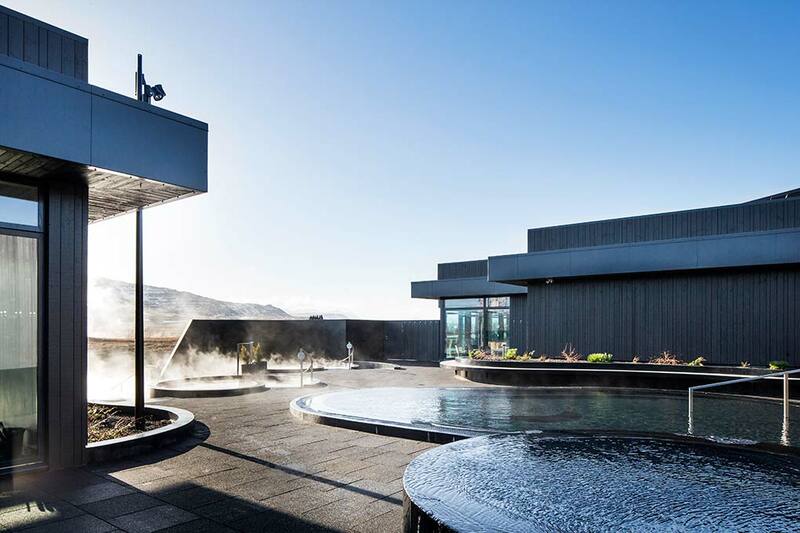 Here you’ll have an opportunity to immerse yourself into the brand-new Krauma geothermal baths fed by Deildartunguhver hot spring if you choose. Please note, the baths at Krauma are optional with an extra fee. 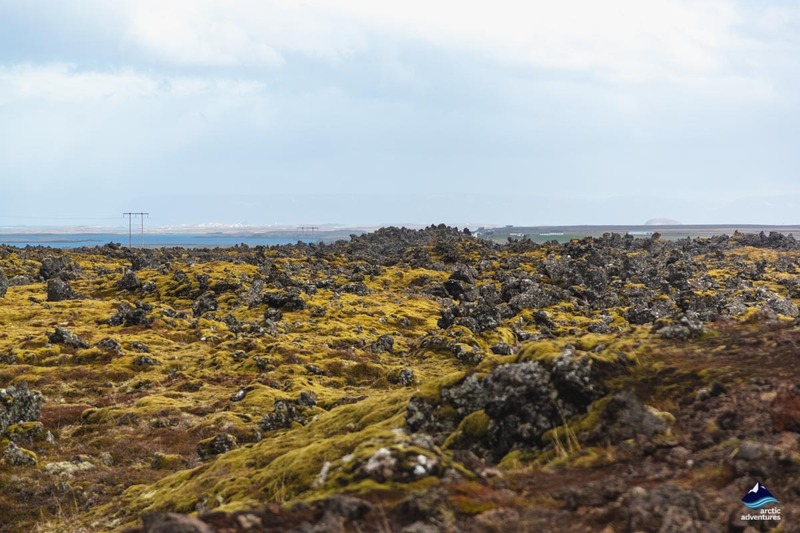 Thereafter, we’ll head to the historic site of Reykholt, once home Iceland’s greatest medieval author Snorri Sturluson. 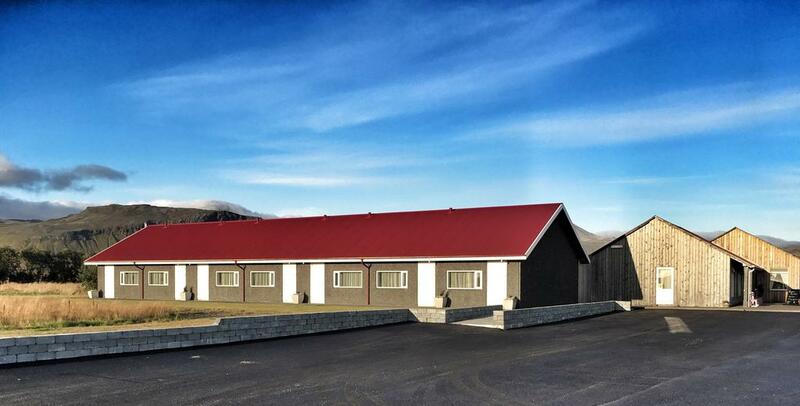 Today scholars from various corners of the world come to Snorrastofa—Reykholt’s independent research centre—to study medieval history. 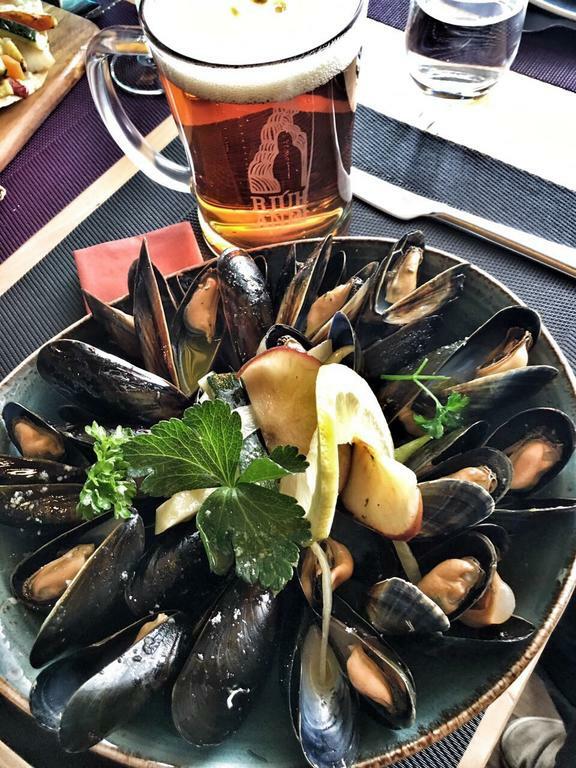 Next, prepare to go deeper into the legends of Iceland! 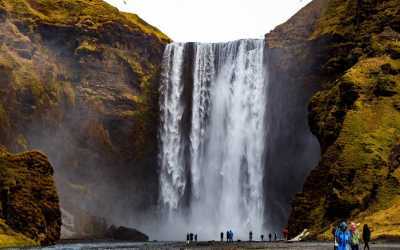 As we continue with our trip, we’ll visit the waterfalls of Hraunfossar and Barnafoss. 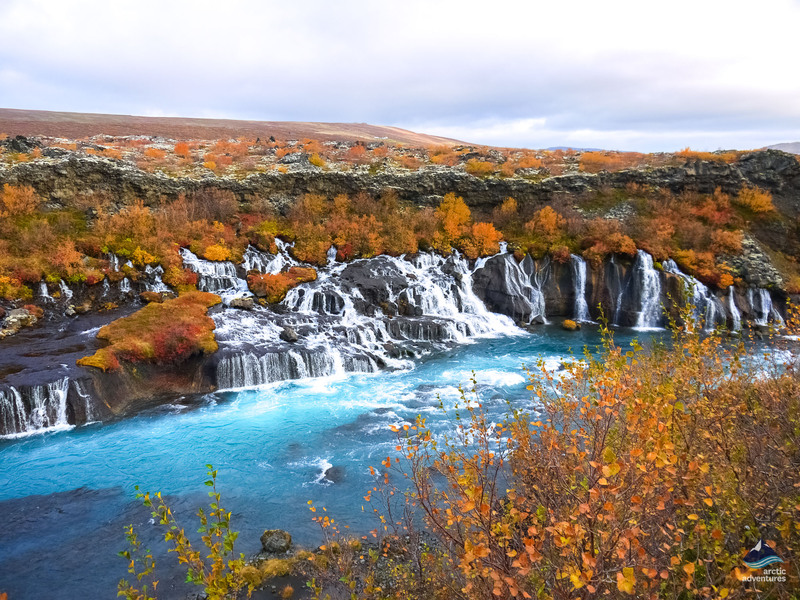 After absorbing the tranquil beauty of Hraunfossar, we’ll visit Barnafoss, also known as Children’s Falls. The waterfall is linked with an eerie story of two children falling in the waterfall, but your guide will tell you all the haunting details! Back on our minibus, we’ll leave the Borgarfjörður area behind and drive through the lands of Snæfellsnes towards Gerðuberg Basalt Columns. These perfectly shaped hexagonal rock structures seem as they were carved by some divine stonecutter. 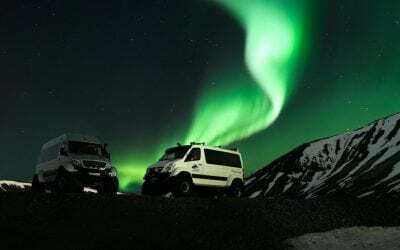 In the evening, we’ll head back to Reykjavik and, if the weather is on our side, hunt for the Northern Lights. We return to Reykjavík around 18:00 (6:00 p.m.). 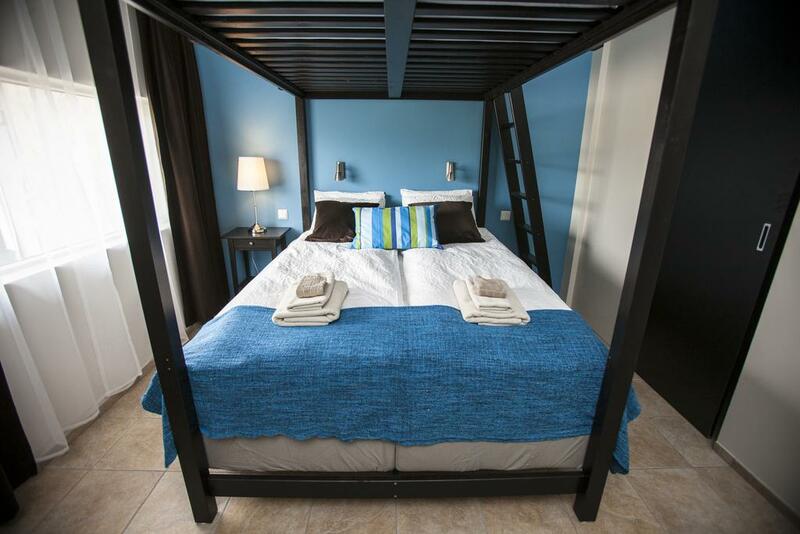 Price from: 48.990 41.642 ISK per person. All good, but it was a bit rush in trip, it would be better if we can stay for longer time at each point. Anyway, it’s nice! The two day trip was well organized and covered a lot of ground. 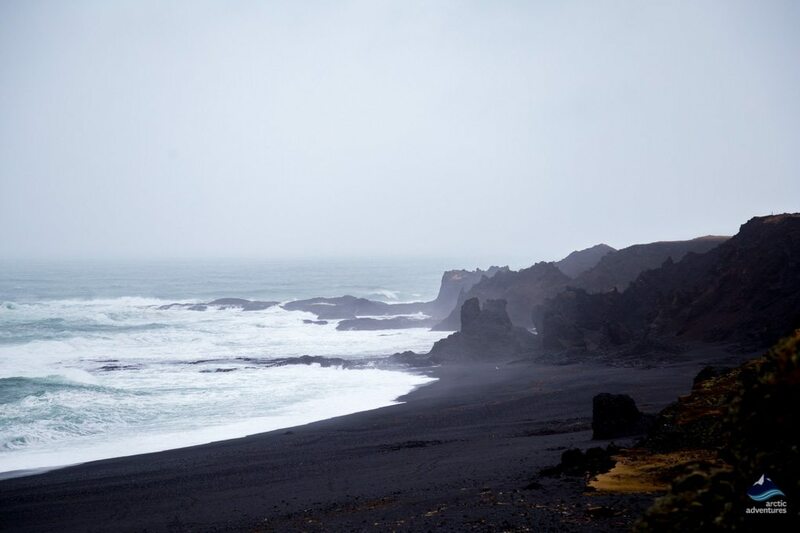 The Snaefellsnes Peninsula was amazing with all the beaches, rock formations and ever changing weather. Our guide was extremely flexible trying to make changes due to weather and ensure our days were filled with interesting sites and activities. The visit to the horse farm was a nice touch and added a more personal experience with the locals. The warm bread and coffeee was a bonus! Arctic Adventures is always organized, on time, professional and wrap all and I love the smaller groups. 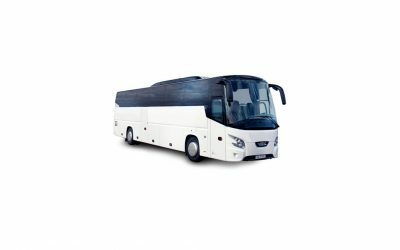 A fun way to travel with others especially if you are travelling solo. I would highly recommend booking with this company fir any tour you do! I was desapointed with the northern lights hunting! Because the guide dont stay look for the northern lights like if you join the northern lights tour!!! And when you book the trip is writing that we would go for hunting! 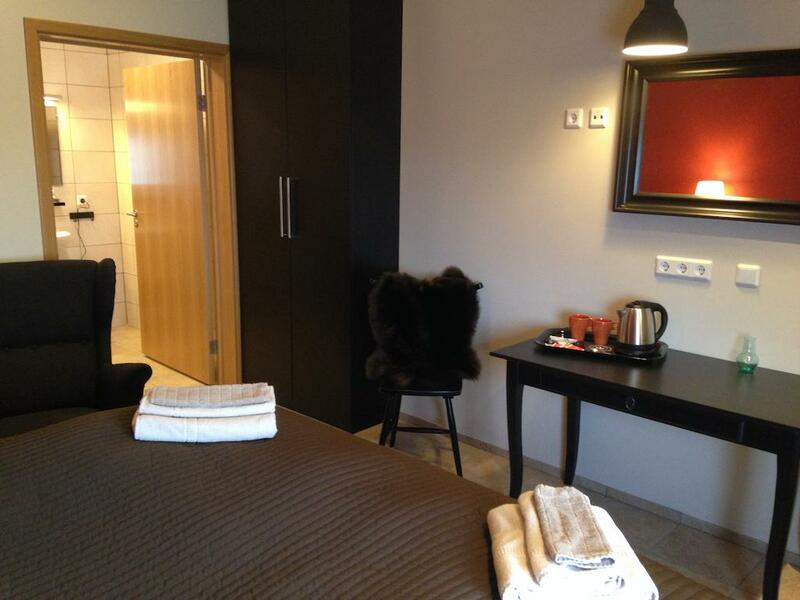 And also in the day that we slept in reykjavik we could have went to hunt!! So this was really desapointed! Other groups that did the same came to hunt in the night! So i think that you should change that! Or at least dont writ in the website that we are going to hunt! But the tours during the day was perfect! Sor, our tour guide was knowledgeable and took extra effort to show us around, give us the history of the places we visited and the culture as well. He also took keen interest to explain to us the northern lights, the websites that can be used to track them. We were fortunate to witness them. The hotel that we stayed at was great as well! Overall, an excellent tour. 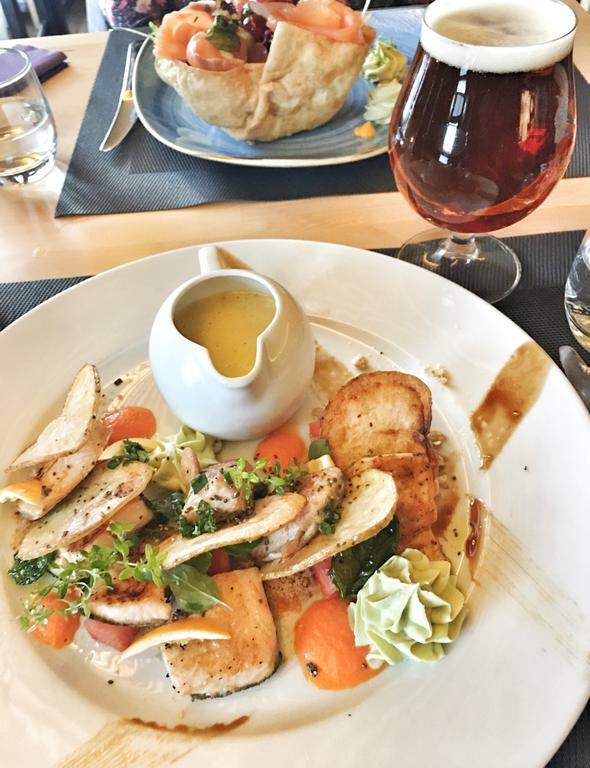 We had a fantastic time touring Iceland with our guide! 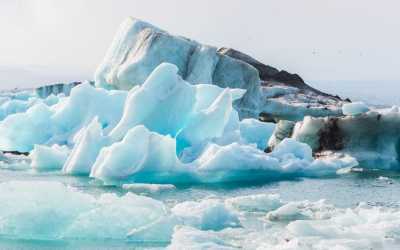 We would definitely use Arctic Adventures again and look forward to a return trip to this beautiful country. The tour and everything around was just perfect! We enjoyed Outlet trip a lot! Overall great experiencie. However, You should not use the 4th floor hotel, it is loud and dirty. Our driver, Alvaro, was great. We enjoyed the tour. Unfortunately, the weather did not permit to do the ice cave tour. Hope to get a refund on it. The 2 day tour was a nice way to start off our 5 day tour. Siggi (?) was very friendly and added a personal touch with introducing us to his future puppy. The views were fantastic, the accommodations fine and safe driving. The things I would suggest change- 20 people on a tour that was advertised as a small group- is not 15 people. The bus was a bit cramped. Please know what to expect on the additional tour to the lava tube. This was a bit more scary for some than expected, as well as uneven terrain and at times just a soaker. When there is not going to be lunch or food, a more stern advisement of going to the grocery store is needed -with ample time to do so. Maybe a cooler in the van to store food would ease minds of those who feel food should not be left out for long periods of time. Make sure people know- there really is no time to see things and shop- it's just how it is and we were good with it, though I think others may like to know this. The overnight Snaefellsnes tour was fantastic and our tour guide Oliver really went out of his way to make sure that we had a wonderful experience. One of the passengers asked if we could stop so that she could photograph the Icelandic horses and Oliver made an unscheduled visit to a stable. After dinner, he took us out for auroras and gave some excellent advice on photography. The hotel was very nice and the restaurant was excellent. We had a pleasant time during our 4 Day Tour with Arctic Adventures. Francois and Triger were very informative and fun guides. Some of the stopovers, particularly in the west side on the first two days could have been skipped (for example the empty town with a swimming pool and the small church). Despite this, it was an overall positive experience. The tour was nice eventhough the weather wasn’t on our side. The guide was pleasant, shared a lot of interesting information and gave as a quick alternative when he had to take the van to the garage unexpectedly. Highly recommended. So happy I picked this trip. Our tour guide Swen was incredible, he knew so much about Iceland and the places we were going, and how to keep us safe yet make the most of our trip in the tricky weather conditions. We managed to go to all the places on our itinerary despite the tricky weather, but additionally Swen knew good places to stop to see an amazing view or hidden treasure that was not part of the itinerary, which really made the trip special. Everywhere we went was beautiful and Swen was funny and engaging, it was also great to travel with a smaller group that you got to know. All around amazing trip. 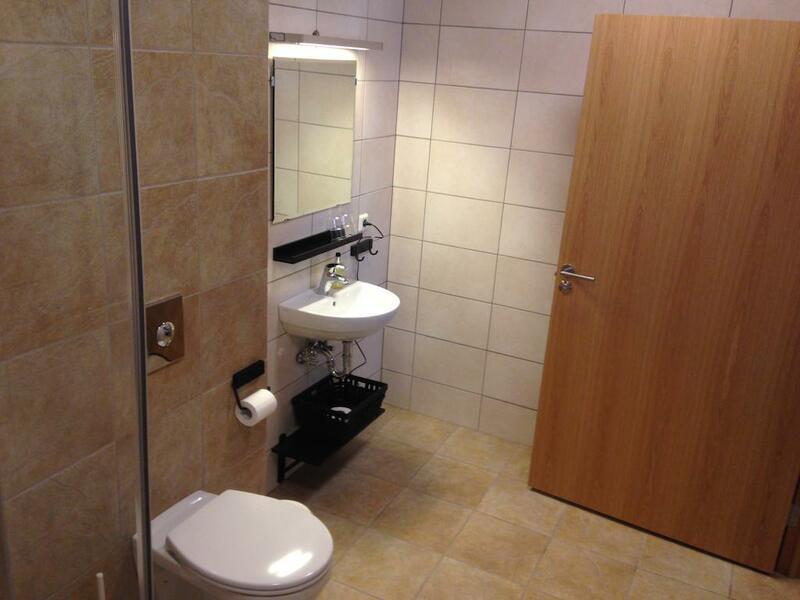 The tour followed the exact itinerary as it was mentioned. We got to do all the activities as planned. I think this tour should change its name and should not mention northern lights in its description (because we didnt even go to hunt it anywhere). Even though for us the conditions were not even close to good for viewing. But we did see northern lights on our 3 days tour. Overall it was a good tour with good guide.